@Creep - Can you please provide details about the care required to keep one.....?? Its commonly known as GGB - Greenbottle Blue Tarantula. 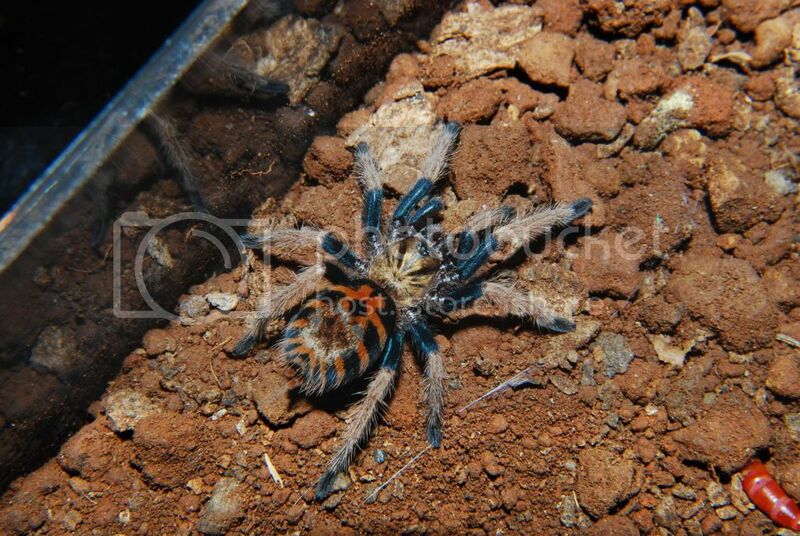 I got it when it was just about 3/4", now a few months later its around2.5"
I have about 6 species of tarantulas.. I am more excited about your brief introduction, whenever I see some such uncommon interest, it leads me to know more about the person...because unless you have a huge expertise in this field you cant keep such species. will be waiting for more interesting topics. Is this the same spider who bit peter parker and later he became spider man ?? If there is a F(w)ish , there is a way !! Need more information about this one..
Beautiful Spider, What do you feed spider ? This one look too good...nice i like it..
Nice spider!! Is it a poisonous creature..